Born at Milford, Ontario on 6 February 1865, he came to Manitoba in the early 1890s. While attending the Manitoba Medical College, he also taught at Oak River School. After college graduation in 1897, he practiced medicine at Griswold. 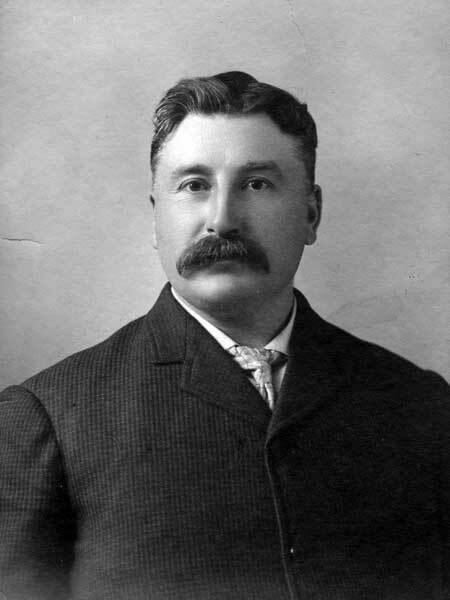 In the 1903 general election, he was elected to the Manitoba Legislature, defeating incumbent T. C. Norris by 16 votes and served one term until a defeat in the 1907 general election. He then took advanced medical training in Britain and, in 1910, joined the medical staff of the Brandon Mental Hospital, serving as its Superintendent from 1916 to 1918. At that time, he enlisted in the Canadian Expeditionary Force with the rank of Captain and served until 1919. He resumed his medical practice at Oak Lake until retirement in 1926. He ran in the 1920 and 1922 general elections, and a 1928 by-election, but was defeated each time. He died at his home in Griswold on 17 February 1940 and was buried in the Brandon Cemetery. “Funeral is held for ex-M.L.A., pioneer doctor,” Winnipeg Tribune, 21 February 1940, page 17. History of the Brandon Mental Health Centre, 1891-1991 by Kurtland Refvik, BMHC Historical Museum, 1991, page 44.